If you want to carry your laptop around in luxury, the Moshi Codex may well be the ideal answer. 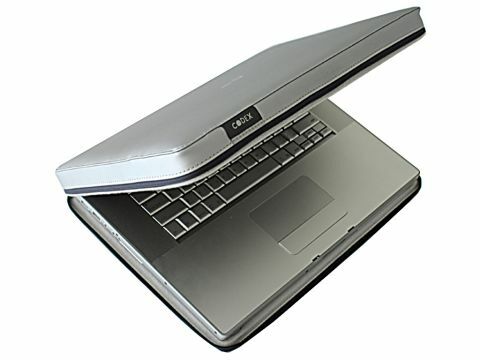 Made from Viscotex, with high-protection padding for your laptop, it'll fit a 15.4-inch machine with ease. There is also a 13-inch (£45 inc. VAT) version available. The finish is slick and smooth and feels solid and robust. With twin surround zips, you don't even have to remove your laptop from the case to use it. You'll find a detachable carrying handle comes with it, so it can be used as a sole case. Inside you'll find elastic clips to hold the laptop in place, as well as rubber shock pads to further protect against damage. For a case that on the surface looks basic and is designed for style rather than protection, we were surprised how sturdy and effective the Codex actually proved to be in daily use.